Oxana is a Ukrainian citizen, who was working illegally in a fruit-processing plant near Swarzędz in Western Poland. After she suffered a stroke her boss first refused to call for help. He then dragged her out on the street and placed her on a nearby bench and made it appear as if he had accidentally come across a drunk woman. The Polish media report accounts of people who claim Oxana had suddenly lost consciousness in the factory whilst at work. According to her friends, the employer refused to call an ambulance for two hours as he feared prosecution for employing her illegally. Most likely the woman in question was part of a large contingent of foreign undocumented workers. Finally the Polish businessman dragged Oxana’s completely paralyzed body and decided to transport her to a nearby village where he put her on a street bench. After a while he called the police and pretended as if he had come across a drunken woman. The case was publicized by Witold Horowski the honorary consul of Ukraine for Greater Poland (a region in Western Poland), where the incident happened on his official Facebook profile. 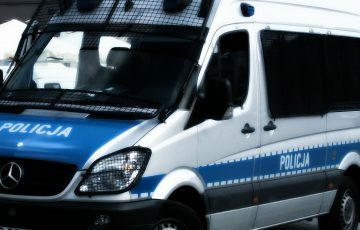 – Currently the woman’s condition is severe and she is admitted at the Ministry of Interior hospital in Poznan. Her sister who arrived from Ukraine is with her all the time – Hornowski wrote. Immediately after the news became public the local police from the station in Swarzędz started an investigation and it has been reported that the proceedings in this case will be supervised by the prosecutor’s office. The Labour Court and the Regional Labour Inspectorate have been informed and legal action on their part has also begun. – At the moment the investigation is in its initial stages, the key question is whether this stroke was related to the actual work being done or not because this affects the legal charges that have to be put forward against the employer. One way or another the major issue here seems to be the criminal liability for non-assistance – Magdalena Mazur-Prus form the Prosecutor’s Office in Poznan told the reporters from epoznan.pl. The consul also applied to the Wielkopolska Voivodship Office in Poznań for the immediate legalization of Oxana’s stay in Poland. Should it not happen once the woman recovers, she will have to foot the hospital bill for her current treatment. She does not have any kind of private insurance either. The bills are accumulating with each day that she spends in hospital. It is estimated that even if Oxana’s stay is legalized she will require 15 to 19,000 PLN (approx. 5,000 EUR) in order to be able to cover the costs. However this is really just the beginning, Oxana will most likely need prolonged rehabilitation which also has to be paid for and which, in Poland, is hardly accessible for people who are covered by the state’s health-insurance system. It has become a matter of convenience in this country for people to seek health insurance services commercially and pay for it . That is also the case with dental treatment. – I am afraid that if we fail to help her quickly, Oksana will probably be transported to Ukraine, which will complicate her treatment, rehabilitation and – perhaps – legal proceedings in her case – Hornowski told the Polish media and appealed for help. The logical conclusion which he could not however confirm, is that if Oxana is prevented to stay in Poland she cannot count on any meaningful medical care of any sort or any substantial state assistance. In Poland the public services sector is definitely not in good shape, but in comparison to the post-Maidan Ukraine it still offers something more. Oxana is now being actively helped by the local community, a Polish-Ukrainian NGO and the Consulate. No matter how shocking it might be, it is not an isolated incident. In this particular case the Polish businessman acted with distinct cynicism, refusing to call for help at first and then trying to pretend as if she was just a random alcohol-intoxicated bum who fell asleep on a bench. This is why it attracted media attention. But this is just a tip of the iceberg. Last month another Ukrainian female worker’s life had been put in severe danger. Alyona Romanyenko worked in a public laundry. She lost her hand while operating a huge washing machine which sucked in her limb, crushed it and literally boiled it before she could miraculously detach herself from it. Of course, the owner of the laundry does not know how the accident could have actually happened. He claims that the machine turned off as soon as Alyona’s hand got under the roller. Interestingly, the incident also took place in Greater Poland, in its capital – Poznan. At least the victim here was working legally. But even if we look at the most recent period there have been reports from May, June, and September of the previous year, of terrible accidents which mutilated people for life. In all these cases the victims were either totally undocumented migrants or had no work permit. As the post-Maidan Ukraine turns into a failed state the number of economic refugees has naturally gone up. According to Personnel Service’s estimates put forward in a report last year Economic migration barometer, about two million work permit applications will be submitted this year by Ukrainian citizens. Next year, the number of employed Ukrainians employed in Poland will definitely reach 3 million according to the report. And this figure only covers officially and legally employed people. The Ukrainian migration authorities say that even now, the real number of Ukrainians living on the territory of Poland could be up to 5.4 million. Polish business states that this figure would be “ideal for Poland” and dismisses claims of abuse and economic discrimination. Another problem is that this feeds perfectly into the new anti-Ukrainian narrative of many nationalist centres in Poland who are aggressively promoting it. This tendency developed its own dynamic shortly after the regime change in Kiev. Power then fell into the hands of the extremist right which openly worships fascist traditions and personas like Stepan Bandera. It is his people who carried out the massive massacres of the Polish population in Volhynia during WWII and their contemporary, firm, anti-Polish stance is more than obvious.